Technology has revolutionized banking. Digital transformationin the banking sector has paved the way for the growth of paperless and cashless transactions.Mobile money, one of the methods of non-cash payment, is a financial transactionservice, where money can be transferred electronically using a mobile phone without the need of a bank account.Industry reports indicate the global mobile money sector is gaining gradual momentum and is expected to reach USD 262 trillion by 2019. To extract the maximum benefits and opportunities existing in the payments ecosystem, the partnership of multiple stakeholders – mobile operators, financial institutions, technology firms, and the government – is essential.Innovative new technologies, changesin banking regulation practices, government programs and consumer willingness to experiment are key growth drivers that have played an instrumental role in driving this shift towards the adoption of mobile payments. In a bid toinfluence and empowerconsumers at the bottom of the economic pyramid, many emerging countries have harnessed the power of technology to make monetary transactions, send and receive money via a mobile phone.Countries in Africa are pioneers in using mobile money to make instantaneous payments and money transfers from their mobile phones.The proliferation of mobile phones has played an instrumental role in transforming the country; technology is driving Africa’s economy.It is estimated that half of the world’s mobile money accounts is in Africa. Using mobile money as a medium for making transactions for goods and services has grown impressively both domestically and internationally too. In developed regions, mobile money market presents a massive opportunity of growth. The Middle East is also at the forefront of adopting mobile payments services, with one of the leading telecom players rolling out an application that enables consumers to use their smartphone as a mobile wallet to pay for goods and services. The growth is fueled by initiatives from the bankingdomain with support from telecom operators and new innovative technological solutions suited for mobile phones. 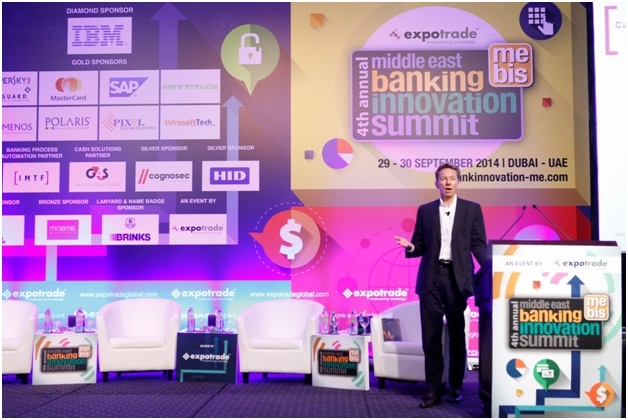 Highlighting the innovation in mobile money services industry andthe transformation of mobile phones into virtual payment cards, the growing mobile payments industry will be one of the key topics that will be discussed at the 5th Annual Middle East Banking Innovation Summit, to be held on 14-15 September 2015, at Sofitel Dubai The Palm Resort & Spa. To know more, visit http://www.bankinnovation-me.com/ for event details.